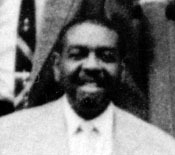 Tyree played with several bands, including Eddie Mallory's band, until 1939 (he was hurt in a tour bus crash). He recovered quickly and later that year he played with both Cab Calloway and Benny Carter. Later in his career he played brief stints with Duke Ellington and Louis Armstrong. He was also a studio musician and actor.